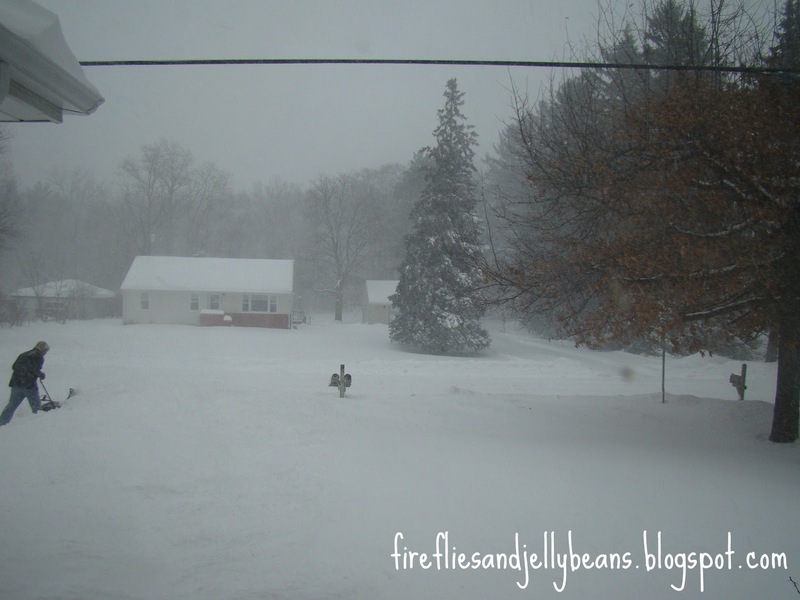 Fireflies and Jellybeans: Minne-SNOW-ta and Sunday Spotlight! 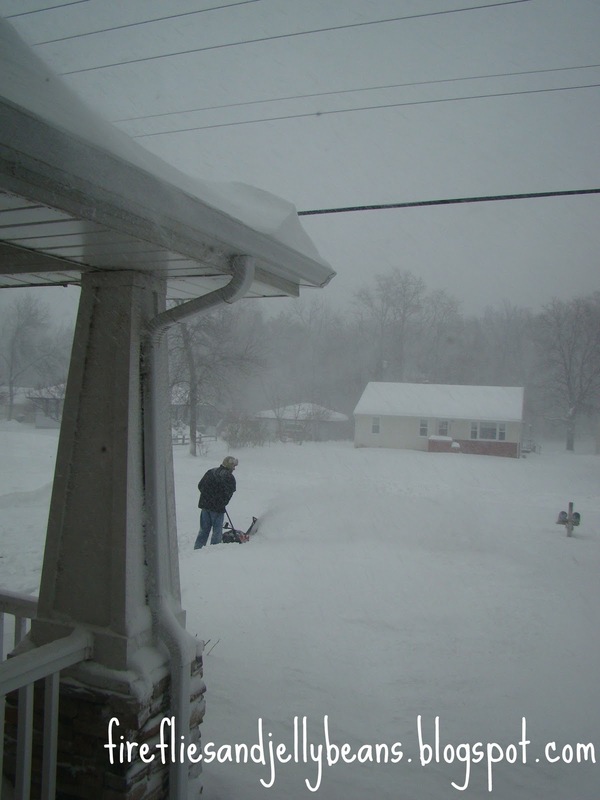 This is during the blizzard. 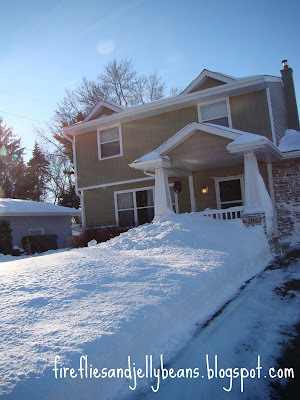 Here is our house the day after! 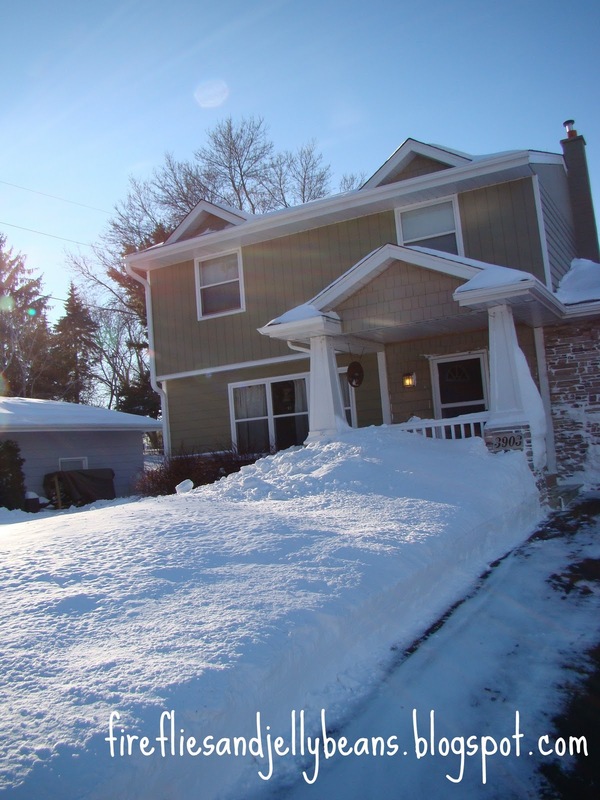 That snow drift in front of the porch is about 5 feet tall! And now on to the favorites from the Show Off Your Stuff Party! Good thing I had all the great projects linked up while I was "snowed in!" I wish we would get snow in SW MT. It's even melting off the mountains..crazy. I saw the collapse of the stadium roof on TV today, egads! We have about 6 inches, but nothing like you have! Thanks so much for featuring my coffee filter Christmas tree! Thanks for showcasing my ribbon shirt! I've got to say it's times like these I am really glad I live in Arizona! Oh wow! Check out that snow -- I live in Indiana and it snows -- not that much but it does - and people freak out!!! It barely snows and the grocery store runs out of bread, milk, bottled water. Laughable really. Well, annoying more like it! :) Make smores in the fireplace, hot chocolate and cuddle up!! Wow! To a Texan that looks like tons of FUN! So jealous of your white Christmas! Great party this week! Thanks for hosting! All of that snow is absolutely incredible! I think I would really enjoy it if somehow I could have it without the cold lol Until that gets figured out I will just enjoy looking at all of the pictures. Stay warm! I'm not sure I knew that you lived in the Twin Cities. We live in Andover and I drove from Andover down to Fort Snelling to photograph a wedding on Saturday.